Dr. Kelly J. Dixon is an Archaeologist who works as a Professor at the University of Montana’s Department of Anthropology. She is committed to education at all age levels and looks forward to spending her summer “break” from University work engaging communities in the region via summer camps, heritage tours, workshops, and volunteer projects. Through this work, she demonstrates how archaeological investigations unite the sciences and humanities and she provides generations of citizen scientists with holistic tool kits to handle the complexities of navigating natural resource and cultural heritage laws, policies, and practices in the 21st century. Dixon has lived and worked in the North American West for over 20 years. Her research and publications include case studies representing archaeological sites in this region that date from the past several centuries. Dixon’s research emphasizes the ways in which archaeological investigations of the modern world can help democratize the histories of people who have been marginalized in mainstream presentations of the past. Her recent and forthcoming publications and projects draw attention to the intricacies of sustainable conservation, lingering issues of colonialism, and how archaeological materials can be used to address grand questions about the human condition that transcend the nature-culture divide and that can help understand the ways in which humanity can navigate pressing issues relevant to our modern world, including adaptation, resilience, and sustainability. To learn more about Kelly’s work, click here. 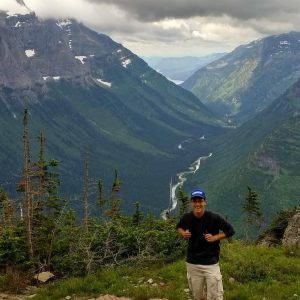 Giles is the co-founder of Origins Montana and is an expert in guiding experiences. Whether it is his 21 years as director of North America’s largest pool swim triathlon (The Grizzly Triathlon, written up as one of the best races in Triathlete and Shape Magazines), or leading clients through the process of restoring, revegetating, and beautifying their landscapes with native plants and natural designs with his business Native Yards, he is excited to share the wonders of the early history and natural world of Montana with his clients of all ages. 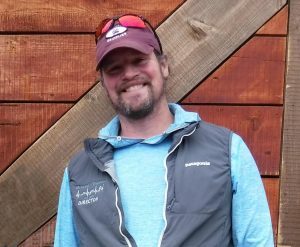 Giles has a Masters of Science in Biology studying fisheries genetics and movement, and then ran a Plant Ecology Lab at the University of Montana for 12 years before moving into the private sector and founding Native Yards in 2005. 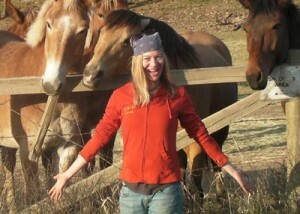 Harley is a recent graduate of the Environmental Studies graduate program at the University of Montana. During his time in school, he worked as a teaching assistant in the Chemistry Department for two years and took coursework in Environmental Education. His focus is on experiential, place-based education that aims to connect students to the natural world. Nikki Manning earned her Bachelor’s Degree in Sociology (with a minor in Anthropology) at Boston University in Massachusetts. After a time in the corporate world working in Human Resources and Marketing, she returned to graduate school in the Fall of 2011 at the University of Montana and completed a master’s degree in Anthropology with a concentration in Cultural Heritage and Urban Archaeology. 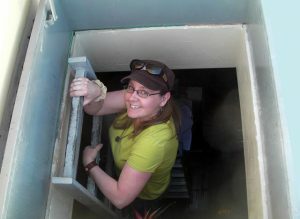 Her thesis research focused on the Missoula Historic Underground and explored how the political and social climate of early Missoula may have affected the use of space and the built environment. That thesis research was also published in a book that was released in March of 2015 by Arcadia Publishing. Nikki is currently a doctoral candidate in the Department of Anthropology at the University of Montana. Her dissertation is entitled Beyond Preservation: Adaptive Reuse, Deconstruction, and the Archaeology of Buildings. Her interdisciplinary approach to historic preservation includes research in the fields of urban archaeology, architectural history, and issues in heritage conservation through the built environment. To date, she has completed multiple pre-deconstruction/pre-demolition archaeological survey projects of contributing properties to the Downtown Missoula Historic District. Her passions include public outreach and education in the fields of archaeology and historic preservation. As part of that passion for education, Nikki currently teaches archaeology at the University of Montana and regularly works with the kids at Willard High School in Missoula. © 2019. Native Yards, Inc. All Rights Reserved.